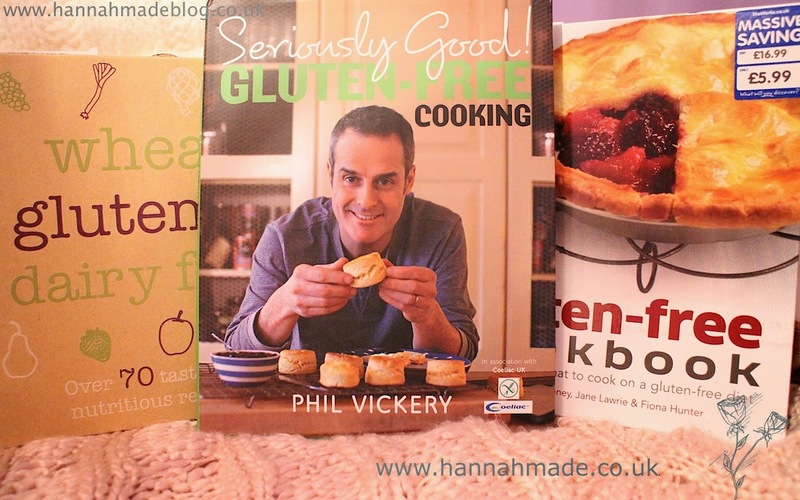 One of my gifts this Christmas was a gluten free cook book, Seriously Good! Gluten-free Cooking by Phil Vickery to be exact. This book contains breakfast, snack, lunch and dinner recipes as well as much much more, including vegetarian dishes. This book is in association with Coeliac UK and has prompted me to do some more cooking posts on my blog! So throughout this year I am going to aim to do many more recipes, and hopefully, availability of the kitchen permitting I may even be able to show you whole meals and film the progress. I do have other gluten free cook books I brought last year and haven't touched! So I am also going to dig these out the book shelf and make more of an effort! I have such a range of recipes I can try and although I am much more of a baker than a cook, I managed a food GCSE so I'm sure I will be able to make a few recipes right! I am looking forward to sharing my creations, or disasters, whichever they may be!